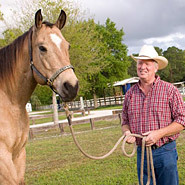 Chia Seeds For Horses are natural easily digestible sources of the healthy omegas needed for optimal health. 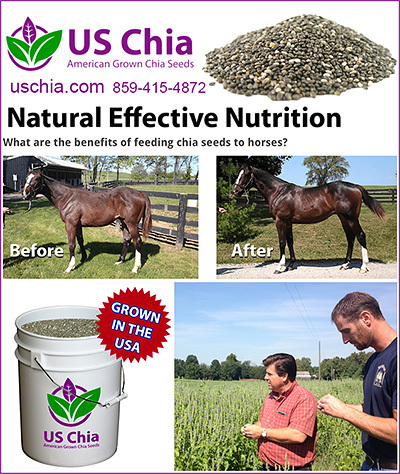 Chia Seeds can also help Insulin Resistant horses with metabolic syndrome by helping to regulate sugars in the body. Chia seeds are one of the healthiest, most nutrient dense foods on earth. Chia seeds were originally used in the novelty chia pets because the plants are fast growing, but the real value is in the seeds. That's because chia is rich in Omega-3s, fiber, protein, minerals, and antioxidants. Chia is an all-natural, nutritional powerhouse that are great for people and animals alike. Chia supports optimized body function throughout all of life’s stages. As an all-natural food, chia is easier to digest and absorb into the body than processed supplements. Chia seeds are a small oilseed, and their mild taste and subtle texture are easy to add into your diet without hardly noticing them. But don't underestimate these little seeds because they pack a nutritional punch that your equine will notice.